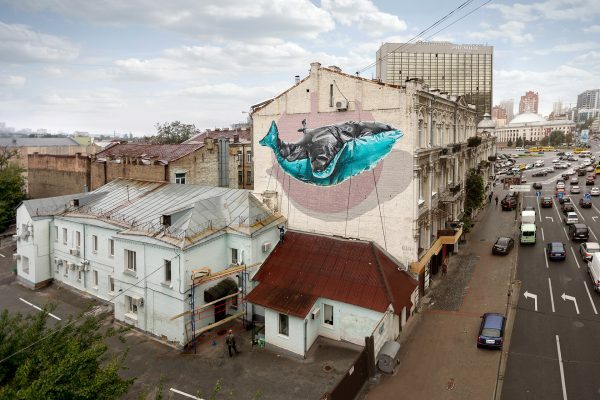 “Bearing Machine” is an incredible mural created in 2017 by Street Artists NEVERCREW for the Satka Street Art Festival in Russia. 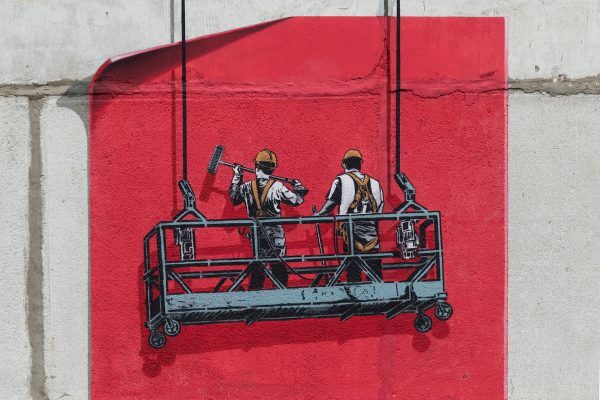 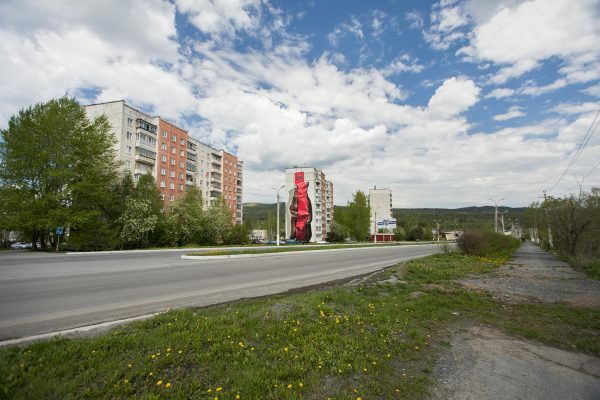 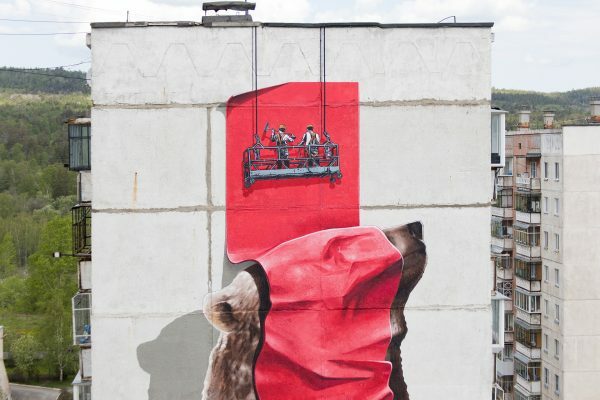 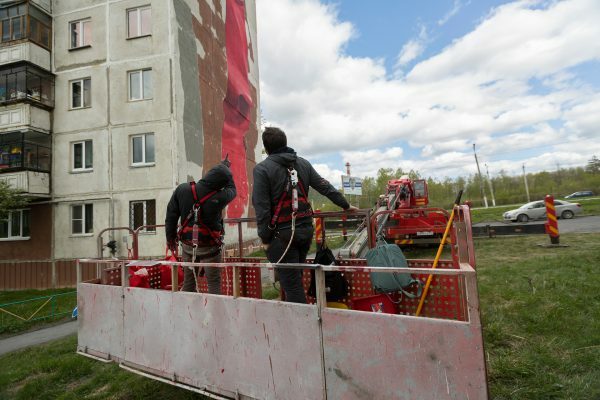 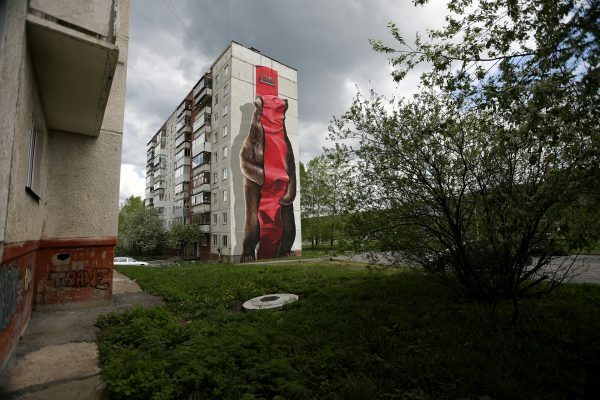 NEVERCREW depicted a giant bear that is unable to see, due to a red tarp that has been clamped over his body by two workmen. 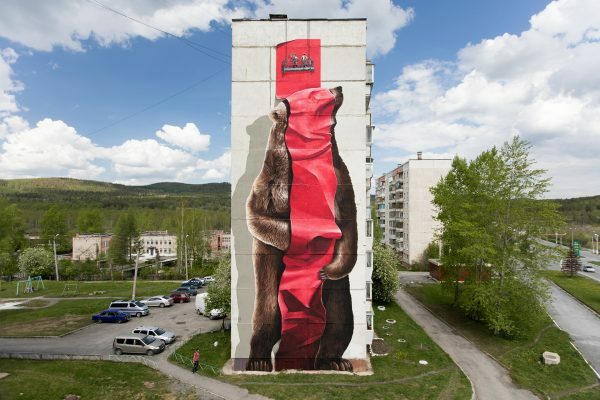 As a result, the bear cannot see where he is and seems to be lost in human structures. 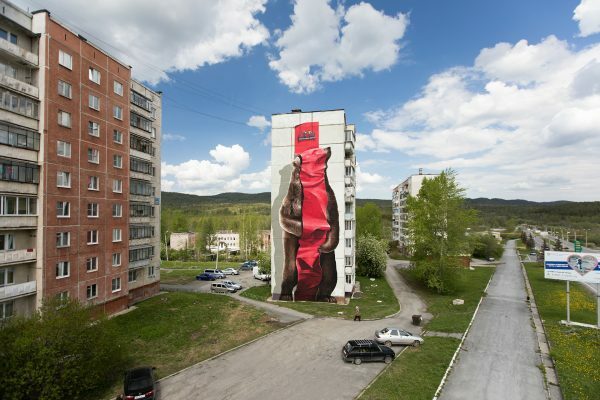 This notion is underlined by a connected second piece that is located at a leftover building in front of the hills. 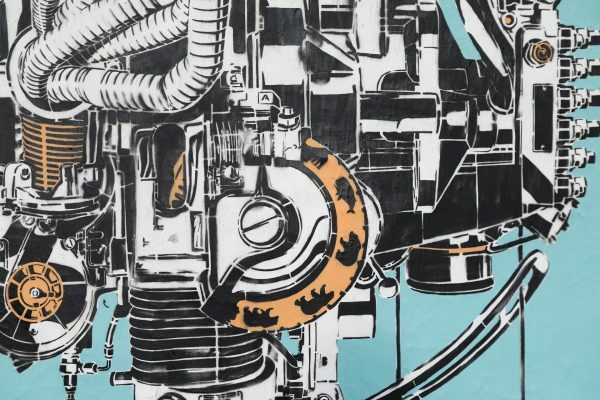 The second piece shows a machinery that appears to reflect the concept of the large bear mural and the city’s mining activities in the quarry. 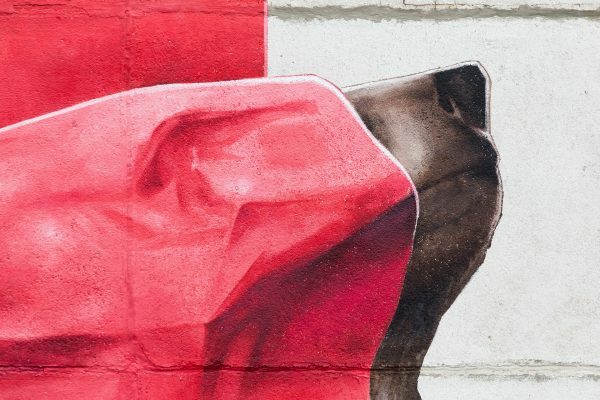 Among others, small bears are symbolized in the machinery’s gear wheel. 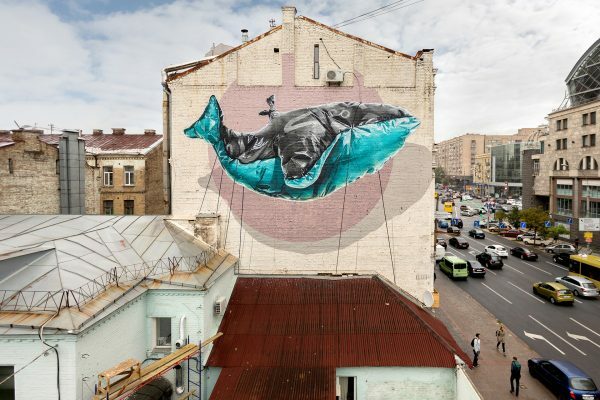 “Encumbering Machine” is another massive mural by NEVERCREW that deals with the imbalances between nature and mankind and can be found in Kiev, Ukraine. 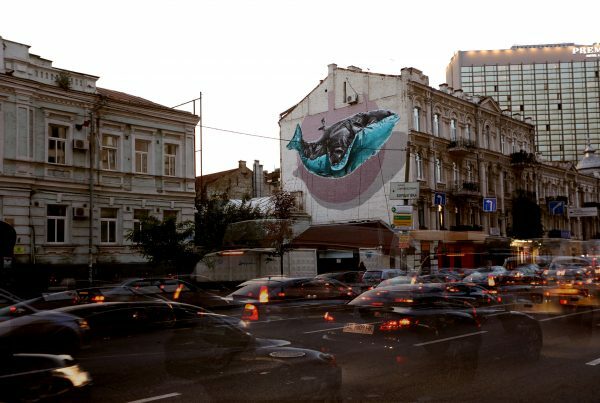 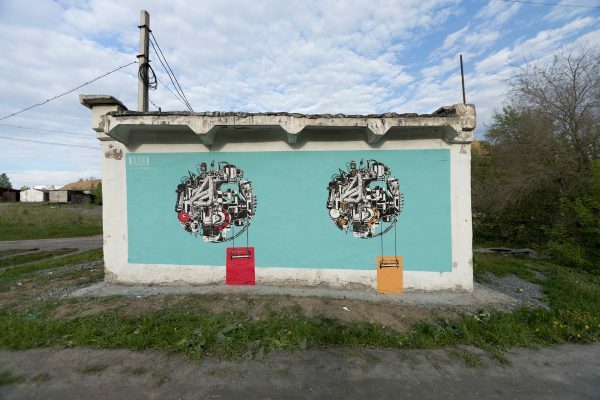 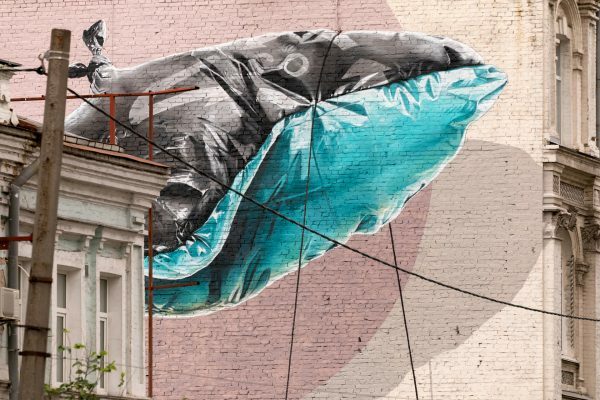 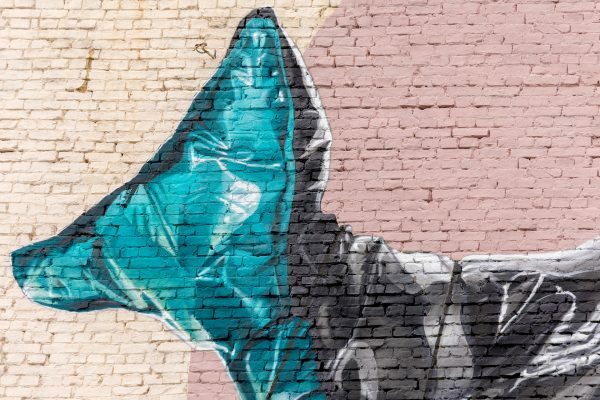 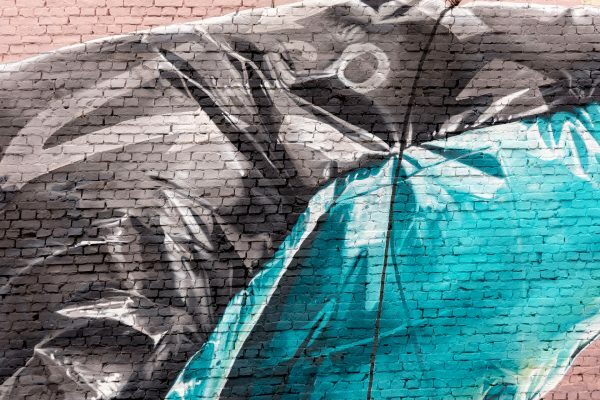 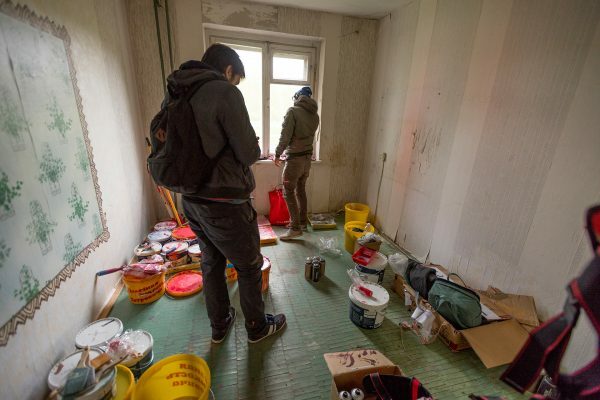 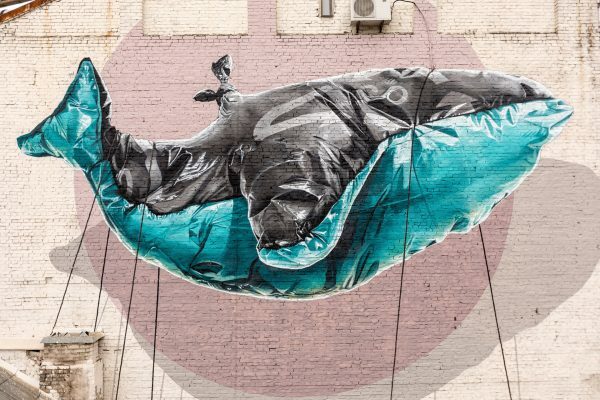 Veröffentlicht in Murals, Projects, street art, urban artGetaggt mit Animal, human, kiev, mural art, Mural Festival, nature, Street artBookmark the permalink.